I’m not going to lie, I am easily swayed by packaging. I love pretty boxes and outlandish designs. 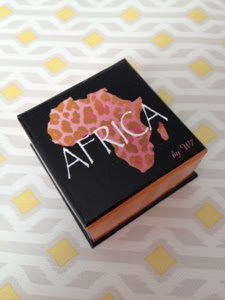 The W7 Africa bronzing powder* not only fulfils my packaging dreams, but also makes me think affectionately of the Toto song every time I use it (if you are too young to know who Toto are, go google them, your life will then be complete). 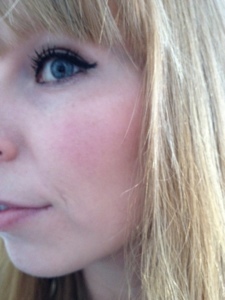 Africa contains a mixture of pinks and brown powders, making it more of a cross between a bronzer and a blusher. Cute packaging aside, the product comes in a sturdy box, complete with it’s own (reasonable quality) brush, which when lifted off reveals the leopard print design product below. How cute is that pattern?! This is perfect for a fresh faced glow and I know it will be making a regular appearance in my makeup routine this summer. The best thing of all is the price. 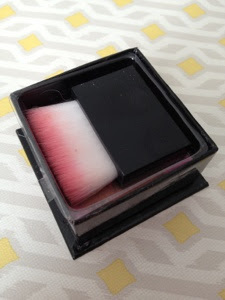 W7 make a range of bargain makeup and this is no different. Africa retails for £3.99, but at the moment can be found on the Xtras website for just £3.40. 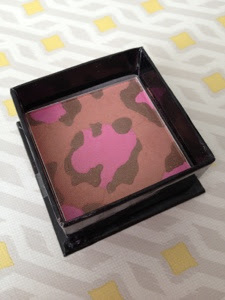 What do you think of this bronzer? I love this! I'm so easily swayed by packaging as well and I love the leopard print! Gorgeous. PS I have a new ootd post if you want a peak! This looks great! As a fellow pale lady, I will have to give this a try! The song is now well and truly stuck in my head though haha.